Carolyn Everson, the social media giant's vice-president of global marketing solutions, has what it takes to impress agency chiefs, Gideon Spanier discovers. The benefits of working at Facebook have been paying off for Carolyn Everson. With two PR advisors in tow, she is sitting in The Ivy in Covent Garden in a blue frock coat with high maroon heels and a Céline handbag. The American in charge of Facebook’s relations with marketers and agencies around the world since 2011 has a more polished air than she had three years ago, when she lived temporarily in London. The vice-president of global marketing solutions ought to be chipper because the world’s biggest social media company has been on a roll. 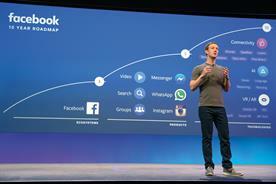 As Everson puts it: "Our position at Facebook has evolved pretty dramatically over the past few years. We’ve gone from an experiment – a social media partner – to becoming much more core to the narrative of marketers and agencies as marketers have realised there is a dramatic shift to mobile." Facebook is now a broader business with greater display opportunities thanks to Carousel ads and video. 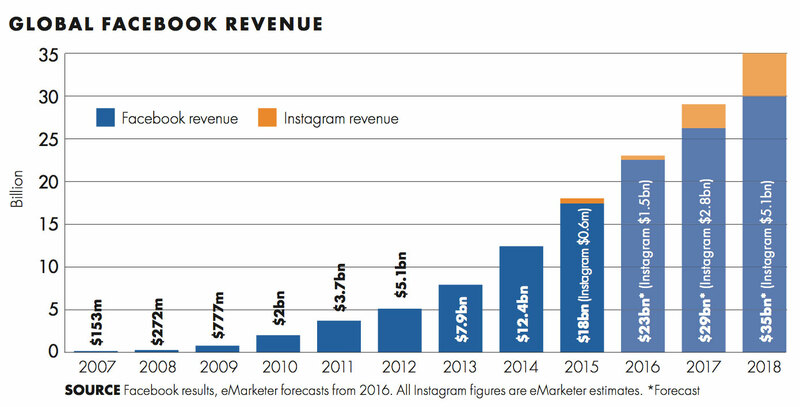 Instagram is selling ads and WhatsApp and Messenger are gaining scale, if not yet bringing in revenue. The numbers tell the story: global turnover is forecast to be $23bn (£15.9bn) in 2016, up threefold in three years, and the UK should generate £1.2bn, according to eMarketer. One thing not a lot of people know about me: I studied communications and my dream was to be a TV news anchor. I still think I’d love that job! Everson moved from New York to London in late 2012 when Facebook was looking for a regional boss (she recruited Nicola Mendelsohn as EMEA vice-president) and lived in the UK for about six months: "It was an incredible time for my family. I think about living here again at some point in the future." Those who know Everson say 2012-2013 wasn’t easy as the company struggled to make the switch to mobile. But, since then, Facebook has been flying. Everson talks about "an incredible expansion of resources and opportunity" in the UK in particular. The company will move office for a fourth time to a purpose-built home in Rathbone Square, just north of Soho, next year and global teams such as Facebook At Work, its business-to-business networking tool, are led from the UK in a sign of the country’s importance. It could be possible to do her global job from London, Everson says. Her senior team includes ten leaders, who each look after a global agency group or a global client, and several are or have been based in Europe, including Facebook’s Dentsu Aegis Network agency lead and its Unilever global lead in London and the Nestlé global lead in Switzerland. The UK matters because it is an early adopter of technology with more than 90% internet penetration and "an incredible amount" of mobile use. "Some of the best thinkers and doers in our industry either are based here or have trained here," Everson adds. "It’s an exporter of talent." Some agency chiefs see Facebook as a "frenemy" that keeps poaching senior British talent, such as Mendelsohn from Karmarama, Steve Hatch from MEC and Ben Wood from iProspect. Everson maintains Facebook wants good relations with agencies because it has three million advertisers, up 50% in a year, and can’t manage all those relationships with clients. "We need the agency community," she says, citing how Facebook invests in training for agencies. "Our preferred model is where we have the client and the agency at the table together." And as Facebook offers more services, her team members need to be "like conductors of an orchestra" to figure out what clients need and their "business objectives". Agency chiefs like Everson. Mike Cooper, global chief executive at PHD, describes her as "charming" and "a top-class operator" who "travels well" rather than being "US-centric". "Her outstanding quality is she does really get involved in client issues. Occasionally, she tells you things about your client you don’t know, which is very unusual," he says. 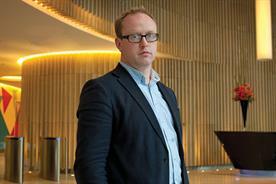 Lindsay Pattison, global chief executive of Maxus, says: "She listens hard and she does stuff. She doesn’t float. She’s not superficial." And when Pattison moved to a global role, Everson made useful introductions. "She’s generous," Pattison says, explaining that Everson understands how people, especially women, can help each other out over time. "She pays it forward." But there is still friction despite Everson talking about Facebook founder Mark Zuckerberg’s lofty "mission to make the world more open and connected". Pattison says: "What more would we like? Always more access to more of their data." 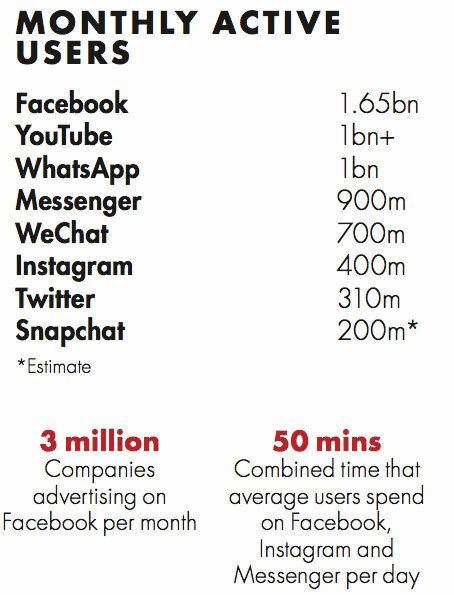 Another area of concern for publishers is Facebook’s dominance of the news, which means readers are spending less time on publishers’ sites and apps. 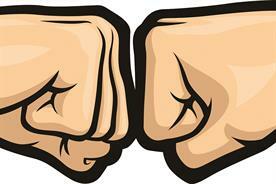 Some news organisations fear an unequal relationship as they become dependent on Facebook. Bloomberg Media complained recently that publishers are "being fed scraps" of revenue. Everson insists "we care deeply" about supporting news organisations and "ensuring that those companies thrive from a monetisation perspective". 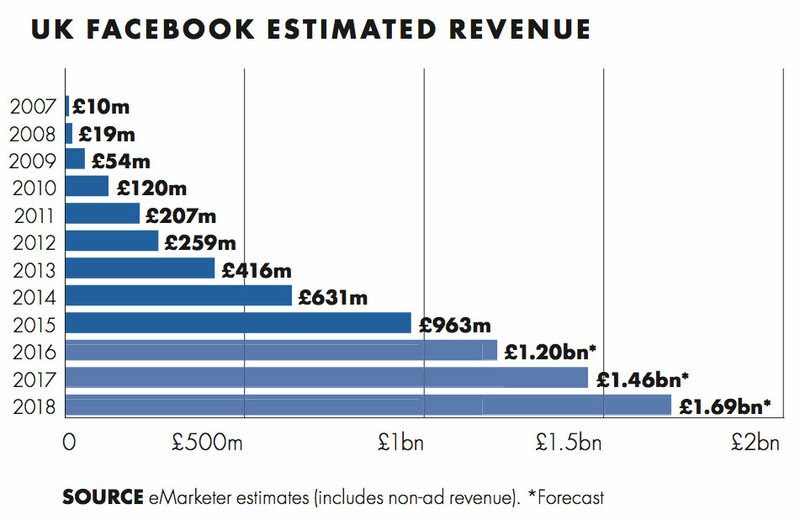 And if publishers consider pulling back from Facebook? "It’s better to be where consumers are. So I would encourage putting content where we have large audiences, so that people can actually see it and discover that content." She thinks online video could be "as big and as transformative" a change as mobile: "We have become a very important discovery platform. The difference with YouTube is it’s where people go to search. With Facebook and Instagram, you don’t know what’s coming up in your feed – you discover." Everson maintains auto-play videos don’t artificially pump up the number of views and Facebook is "very transparent with advertisers" about how much time people spend watching. Facebook sees itself as complementary to TV. 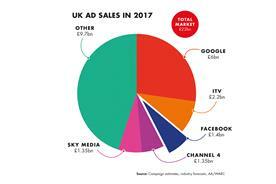 "We don’t say people should move budget across" from TV, she maintains, in contrast to Google, which upset broadcasters by targeting TV spend. Everson is passionate about improving workplace culture. She hosted a breakfast for 50 up-and-coming female advertising executives at The Ivy and talks enthusiastically about nurturing leaders at Facebook through regular appraisals and dialogue. "The happiness factor of employees correlates to higher performance," she says. All this talk of being a caring corporate citizen is undermined by Facebook’s legal avoidance of corporation tax by routing sales offshore. Its last annual UK corporation tax bill was just £4,327. But after belated pressure from the British government, Facebook began invoicing "large UK customers" in Britain rather than Ireland in April. Everson says it "clearly recognises the value our UK organisation adds to our sales" – something Facebook wasn’t so keen to acknowledge before, when it maintained sales were being made in Ireland. One industry figure who knows Everson thinks the former Microsoft and Viacom executive has what it takes to become a chief executive, but adds: "I don’t know if she’s that ambitious." For now, she is happy working for Zuckerberg, describing it as "the most extraordinary experience I’ve ever had in my career" and reeling off a string of superlatives about how Zuckerberg is "never satisfied with the status quo or complacency" and is "constantly trying to improve what he’s trying to do with the company". Zuckerberg’s decision as "a male CEO" to take extended paternity leave when his daughter was born also sent "a very strong signal" and he has returned to work with fresh enthusiasm, she says: "If it’s possible, he gets better every day." It might sound gushing but, in a week when Facebook’s share price has hit a record high, it is hard to doubt Everson.